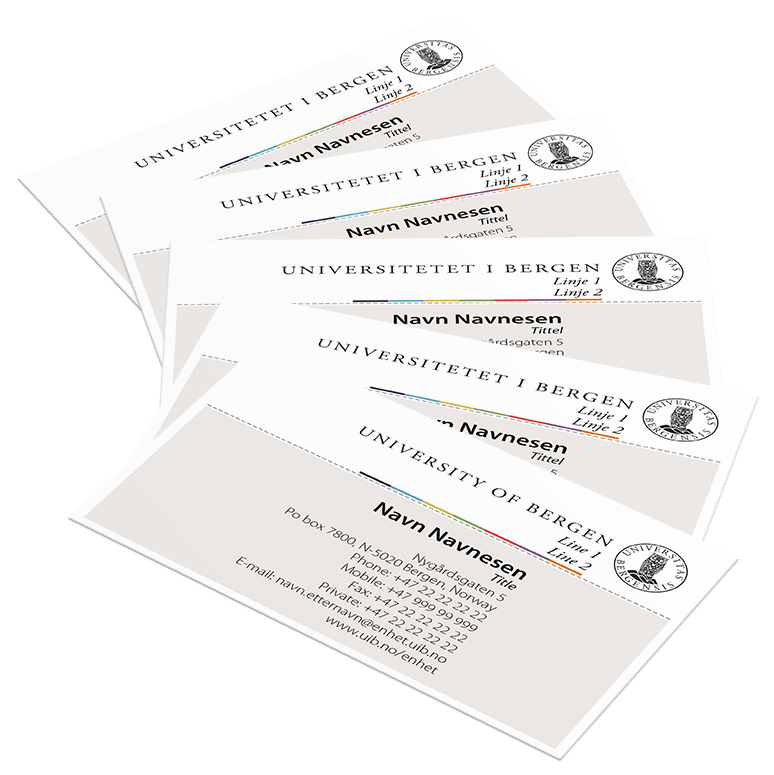 From this page you can order your University of Bergen business cards. You can choose between 6 templates; norwegian, english, norwegian/English, with or without picture. Press “Start Order” to begin the ordering process.